In 1933, during the Great Depression, nearly 16 million people were unemployed in the United States. President Franklin D. Roosevelt formed the Civilian Conservation Corps (CCC) to put people back to work. Unmarried men between the ages of 18 and 25 could join the CCC. They were paid $30 per month, but sent $25 home to their families. The workers ate and lived at the camps where they worked. 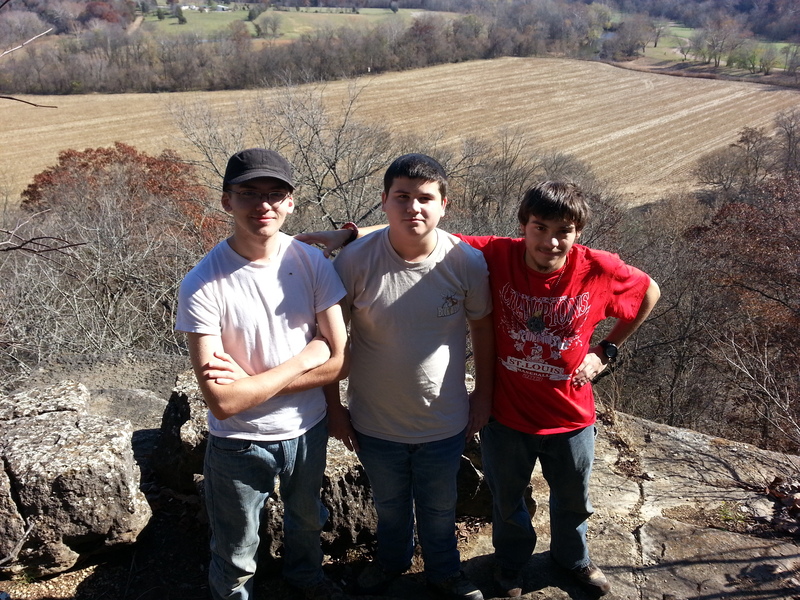 These young men built roads, trails, bridges, entrance gates, shelters, bathhouses, cabins, and many other buildings and features in state parks. These structures used native stone and rough hewn timbers to create a distinctive, rustic style that is still recognized, today. 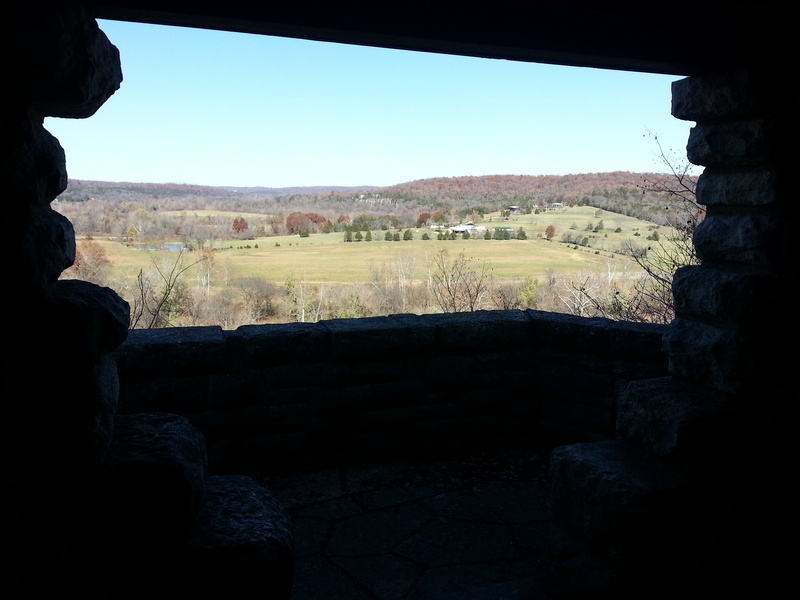 Their buildings now serve as signature pieces in Missouri state parks. The Civilian Conservation Corps Company #1743 came to Washington State Park in May 1934. This was the only African American CCC company to work in Missouri state parks. From 7 am to 4:30 pm each day, the men worked on projects like road and building construction. Each CCC camp was named to reflect something significant about their park. Washington State Park was created to preserve the ancient Indian petroglyphs found there. One image that appears repeatedly in the rock carvings is the thunderbird. 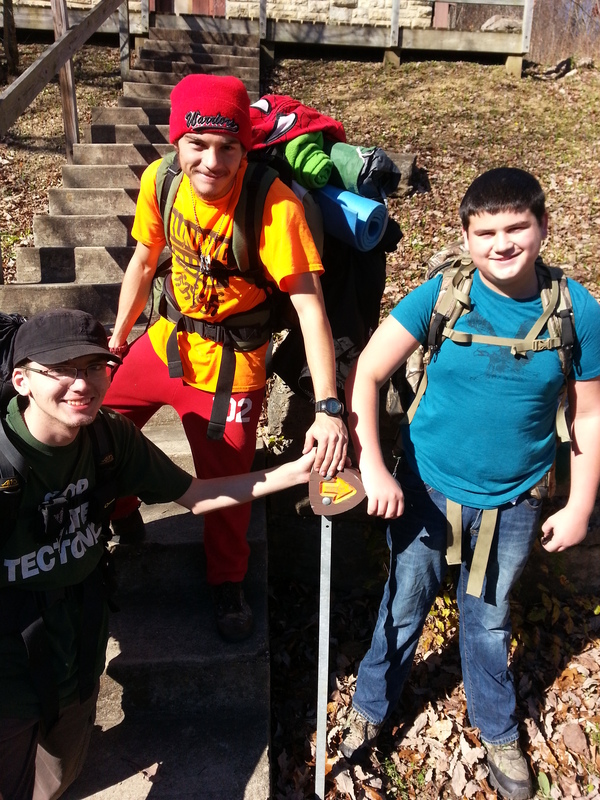 CCC Co 1734 named their camp “Camp Thunderbird” in recognition of the petroglyphs. In 1939, CCC Co 1734 transferred to Mark Twain State Park, near Florida, Missouri. During the five years the company was at Washington State Park, they produced 14 buildings, the 1,000 Steps Trail, 22 road culverts, and many walls, paths, and curbs along the park road. The high quality craftsmanship earned the park recognition in the National Register of Historic Places. 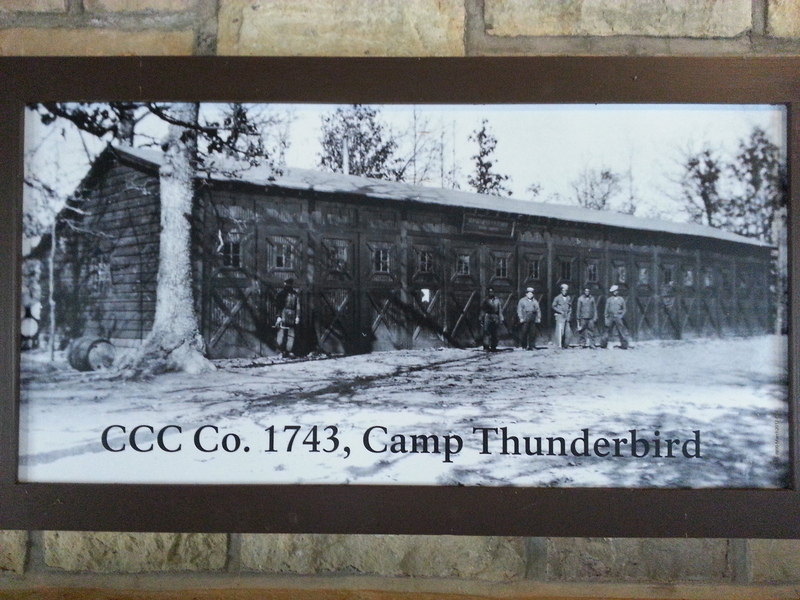 CCC Co. 1734’s Camp Thunderbird barracks, shown above in an historic photograph, now in ruins, became the off-trail campsite for our crew of backpackers, following a fairly grueling day on the trail – climbing steep hills, straight-up, over loose scree; over leaf-littered trails covering loose, ankle-turning rocks; sparsely blazed paths; a hill with “1,000” hand-carved and lain steps; and a water-boil order for any park-provided water sources (only in improved areas, not on the trails), with packs fully laden with provisions, tentage, supplies, equipment, clothing for a Missouri November weekend, and approximately 2 gallons of water, each. 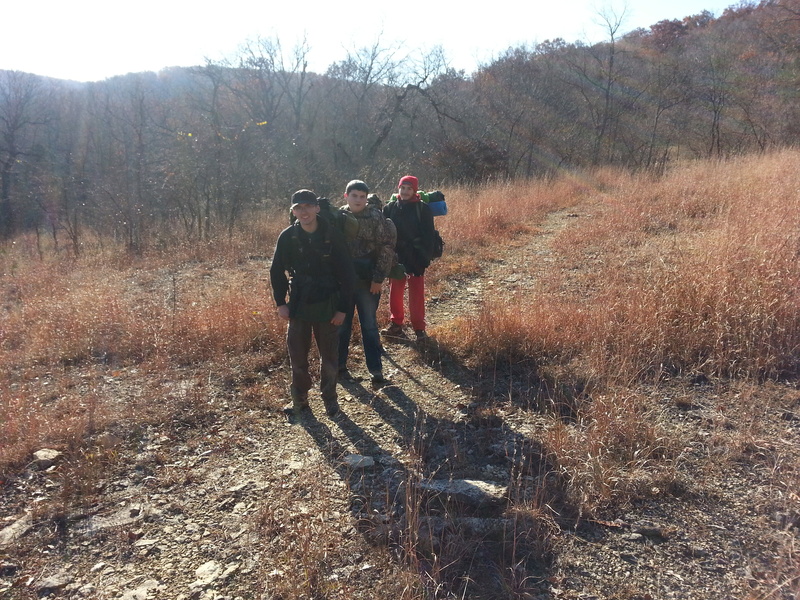 Backpacking for over 10 miles on the two-day adventure (eight of which were covered in one day), this novice crew, never having backpacked overnight, with the exception of one, and he not as long, grew closer together. They formed stronger ties of brotherhood, and grew in companionship. They packed together. They struggled together. They rested together. They laughed together. They conquered. Together. The following illustrations will help you custom fit your backpack for comfort and endurance. It is important to understand that when backpacking, the weight of the pack should rest on your hips, not on your shoulders. The primary purpose of the shoulder straps are to keep the pack close to your back. While the following instructions show an external-frame backpack, the instructions are relevant to both internal- and external-frame packs. Packing all of this stuff into one pack might seem daunting, but it’s an easy process if you follow a few basic rules. Tag Along. Many multi-day packs have hoops and d-rings that allow you to secure items to the outside of your bag. Regardless of what you’re stuffing in your sack, distributing weight properly is critical to comfort and proper posture. For the most part, it’s best to pack heavy items, like a stove, fuel and food, in the middle of the pack and close to your back. Make sure you evenly distribute weight from side to side as well as this will keep the pack balanced. To ensure these heavy items stay in place, tightly pack clothes around the gear to keep it snug. This tactic also maximizes the use of space in your pack. Underneath the heavy gear, pack light items that you won’t need to access during the day, like a sleeping bag. In some instances, packs have separate compartments at the bottom specifically for sleeping bags. To maximize space, consider buying a compression bag to squish your bulky sleeping back into a smaller size. This might also let you stuff your tent (not the poles) in this bottom compartment as well. At the top of the pack, above the heavier items, place other gear you might need to access during the day. Layered clothes, a map, flashlight, sunscreen, toilet paper, medical supplies, and a first aid kit are some examples. You’ll also want to keep your lunch in the top of the pack as well. Otherwise, you’ll end up unpacking half of your bag to access this afternoon meal. For multi-day packs containing hoops and straps, it’s also possible to secure items to the outside of the bag. 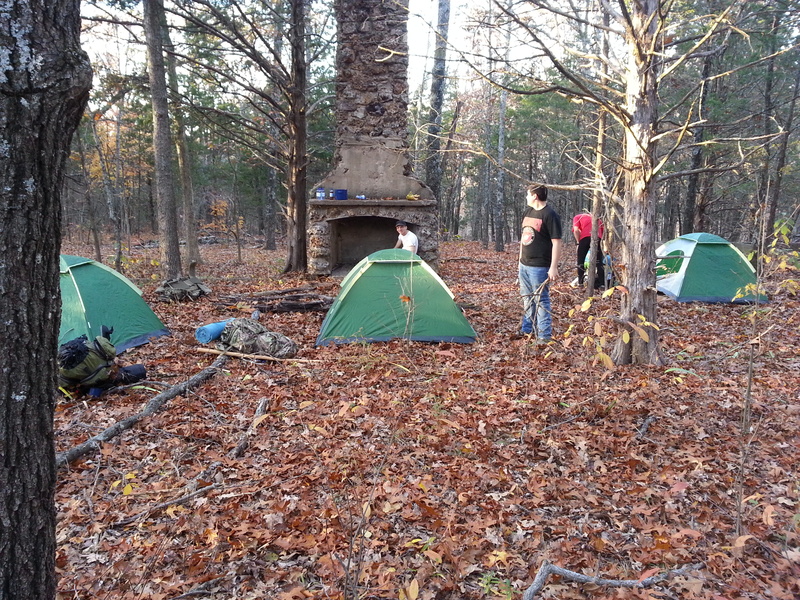 Tent poles, rope, and sleeping pads are two good examples. Again, just make sure the pack is properly balanced. Don’t put too much weight on the pack’s exterior or you’ll find yourself being pulled backwards from its weight. This will result in you leaning forward to compensate, which leads to poor posture and fatigue. Once you’ve got all your gear packed, it’s important to tighten the side compression straps. In doing so, you’ll keep everything snug in place, minimizing internal movement during travel. Beyond the pack’s main storage space, there are often additional pockets for other items. I like a pack with side mesh pockets to store a variety of items like sunscreen, sunglasses, snacks, and water bottles. Of course, many packs today have sleeves to fit hydration systems, so water can always be at your fingertips. Getting Meshy. Packs with side mesh pockets for water bottles and a few external compartments make access to important items quick and easy. If you’re using a daypack or weekend pack for more than just outdoor activities, there are a lot of extra features to many of these smaller storage spaces. Top pockets are great for keeping wallets or cell phones stored on urban hikes and some packs feature internal pockets with clips to keep keys secure. Other daypacks feature pockets specifically designed to hold CD or MP3 players. Many feature cord ports and hooks to keep headphones wires tidy and out of the way. Another trait to look for in packs is an organizer pocket. These often feature storage designed for small items, like a mesh zipper pocket for loose change or slots to hold pens. Lastly, loops are a great feature to have on any pack. With dozens of applications, my personal favorite is attaching a carabineer to them. With this done, I always have an easy option to store my ball cap. I clip the carabineer through the hat’s adjustable strap. This way my hat stays secure without the beak getting warped, which happens when it’s stuffed in the main pack with my other gear. Zippers are the doors to our gear in the world of backpacks. Although a simple invention, there are a few things worth noting when it comes to zippers. First, always be careful to keep thin material away from zippers. Plastic bags or thin rain gear can easily get caught in zipper’s teeth. The result can be a stuck zipper or in worst cases, ruined gear. If looking to get a pack, consider one with side zippers. This design will literally let you open up your pack, making items easily accessible. For me, side zippers were the selling feature on the daypack I use when cycling. By being able to open up the entire storage space, I can easily pack and access my change of clothes, lunch, and any other items I need. This system is much better, than stuffing all these items down the narrow, tube-like storage space of my old backpack. Lastly, look for high-quality zippers and opt for ones that feature water-repellant flaps that fold over the zippers. This way, when you do get stuck in a downpour, the flaps will offer some protection from rain and help keep your gear dry. It’s also a good rule of thumb to keep moisture-sensitive items away from zippers and wrapped in a plastic bags for extra protection. These are just a few suggestions on how to pack a backpack. Whether you’re setting out for a multi-day hike in the woods or just taking the bus downtown, properly packing a backpack is important. It’ll increase your comfort as well as keep things secure and protected during your travels. Proper planning is essential to a successful backpacking trip. Knowing what to bring and how to select a route is half the battle. Getting away from it all to recharge the soul’s batteries takes some dedication. If you really want to connect with the natural world, you’d be hard pressed to find and an activity more invigorating than backpacking. Yet, one factor that deters many would-be backpackers is the surrender of comfort. For those who’ve already experienced an ill-equipped backpacking trip, recollections of never ending treks up steep inclines and painful blisters probably flood the mind. It doesn’t have to be this way. Experienced hikers who take to the trail with pack on the back regularly do so with affection, and they do it in relative comfort, too. Size Matters. Choose a pack appropriate to your size and make sure it’s relatively comfortable when loaded. Proper planning is essential to a successful backpacking trip, and location is the first factor to consider when beginning the planning process. For first time backpackers, selecting a trail appropriate to skill level and physical ability is critical. Most bad backpacking experiences occur because people choose routes that turn out to be too difficult. If you’re planning your first trip, avoid terrain with too many ascents, descents or difficult natural obstacles. Considering the age of participants, as well as their physical abilities, will lead to a contented group. Planning your route on a topographical map will provide accurate details about varying elevations. A comfortable camp will not materialize if the day is spent trudging in pain up an unexpected incline. In other words, don’t bite off more trail than you can chew…or walk. When selecting a trail, inquire with the managing personnel about specifics of not only the trail’s contour, condition and challenges, but also things like drinking water availability and shelters. Knowing as much as possible about the trail’s offerings will help you determine what gear is necessary and what gear to leave at home for later excursions. Each trail has an individual personality and should be approached differently when planning. Thorough preparation eliminates surprises and headaches that lead to foot and back pain, or worse, lost interest in returning for more backpacking action. Keeping the trip comfortable also depends on gear selection and use, which is determined well before departing the trailhead. The goal for nearly every backpacking trip is to go lightweight as possible. There are those who go ultra light or don’t go at all, but going ultra light takes serious planning derived from multiple times on the packing trail. The key is to go as light possible without giving up quality and durability. This must be achieved to arrive at a comfy camp at the end of day. From boots and packs to food supplies and bedding, consider what is truly worth the extra weight and what isn’t. A proper fitting hiking boot is priority as your feet are the foundation of the backpacking experience. Sore feet exaggerate the pain as it moves up your body, making it difficult to enjoy any part of the trip. Since you’ll be carrying a load on your back, a boot with abundant ankle support is crucial, even with light loads. Maneuvering around and over rocks and logs, crossing streams and climbing and descending slopes will be much more comfortable with secure footwear. Dressing for the occasion is critical in backpacking, not for fashion, but for performance. Depending on the season, pants designed for the trip’s terrain and conditions should be one of your first clothing considerations. The design to handle multiple events is zip-off legged pants, which go from long pants to shorts in a few seconds. These are perfect when dealing with elements such as cool mornings and warm days, or when wading small streams or wandering through knee-high vegetation. Another comfortable pant feature is an elastic waist band to eliminate the need for a belt. With a backpack waist belt snuggly wrapped around you, the absence of a constricting belt will be appreciated. Dressing for comfort while backpacking is a bit different than when hiking. Keeping cool or warm while exerting energy to walk and pack onward is a constant task. The objective is to maintain a stable temperature. Stopping occasionally to add a shirt or remove a jacket in reaction to the course is common. Rehydrating will also help the body to maintain a stable temperature, as will layering in sufficient clothing layers, but not too many layers. Wearing a base layer shirt made of athletic-type material wicks away moisture and provides proper ventilation. A lightweight, breathable windbreaker is a good cover all, especially if rain showers are in the forecast. Backpacks come in many styles, designs and weights. Three elements should be satisfied: fitting to individual’s size, balance of pack when loaded and (keeping with the theme of this article) comfort. A small teenager porting their gear in an adult-sized pack will likely lead to overloading. An adult toting a pack that’s too small causes under-supplied situations. Select a pack that is proportionate to body height and weight. An internal-framed pack fits the body snugly, whereas an external pack straps on with ventilation space between pack and back. An internal pack is more stable when the going gets rough because of the tighter fit. An external pack is slightly less steady, but it is easier to load and access gear. Narrowing down the perfect backpacking tent is simple — buy the best you can afford. The reason is this: if you’re on a two-day trip and it rains for one-and-a-half days, chances are more time than expected will be spent snuggled into the fabric lodge. Also, set up and tear down your tent a few times at home. Arriving at a backcountry campsite near or after dark can quickly turn into a major headache if you don’t already know how to set up your tent. When considering tents for backpacking, be sure to choose a shelter with lightweight poles and stakes, as well as one that is lightweight overall — every ounce counts in backpacking. Settling into a quality sleeping bag after hours of roving the trail is pleasurable and satisfying. Doing so in an ill-performing bag is not. Sleeping bags designed for backpacking get the nod here; they’re durable, lightweight and compress to a smaller, easily packable size. Be mindful the trip is planned around walking and exploration, not a slumber party that requires an oversized sleeping sack for two. However, consider a lightweight sleeping pad to provide an extra barrier between you and the ground. Some believe a pad is an extra, but for a decent night’s sleep, I’d include one. Meals on the trail don’t have to be granola bars, but a backpack loaded down with tons of cooking gear isn’t desirable either. Freeze dried meals fit well in a pack and are easy on the back. Add a few strips of beef jerky for a low-fat, high-energy snack to keep the body fueled for the strenuous journey. Focus on drinking water throughout the trip, tossing in a few packets of water-flavoring powder just for fun. Packing in the gallons of water needed to sustain health and comfort on a multi-day trip is normally not feasible. A water purifier will handle filtration duties from lake or stream water. Even developed spring wells located along established trails should be run through a filter. 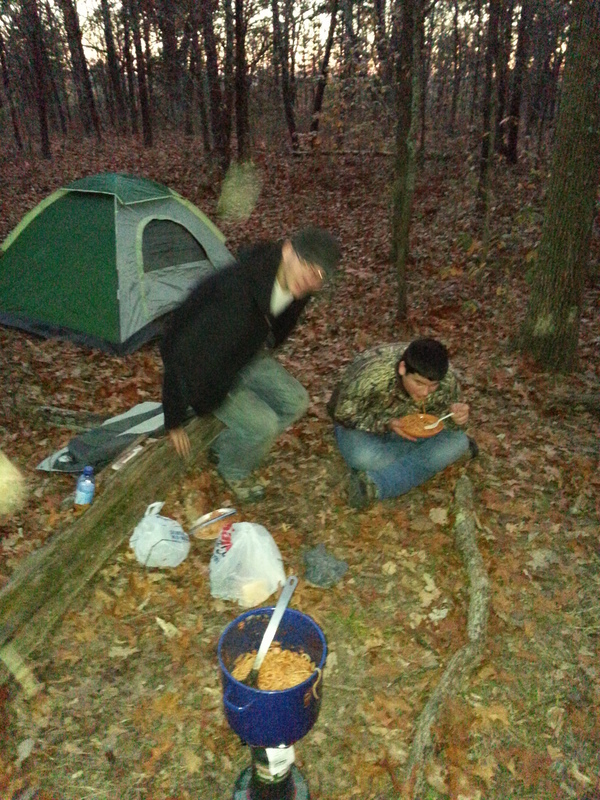 There is no enjoyment to be had in spending hours perched privately off the trail battling diarrhea. Keeping the pack’s side pockets supplied with compass, GPS unit, maps, guidebooks, headlamp, rain jacket and first-aid kit will allow quick access. At home, pack the pack in a few different arrangements to see what works best. Think through possible scenarios, both comfortable and uncomfortable, to ensure all gear items are placed in the pack according to priority and frequency of use. If an extra pound can be handled, add a camera, as the experience should be documented. If picture is worth a thousand words, a dozen photos can tell the whole story. If the trip is a comfortable one, goal achieved. If not, reflect on the excursion to see where you can improve.